In South America the usual fizzy drink international brands like Coke and Pepsi are certainly very strong, but in many countries there are other local players who pack some serious punch against the multinationals. In Peru Inka Cola has always outsold Coke, to the point that Coke eventually had to buy Inka Cola. If you can’t beat them, join them. 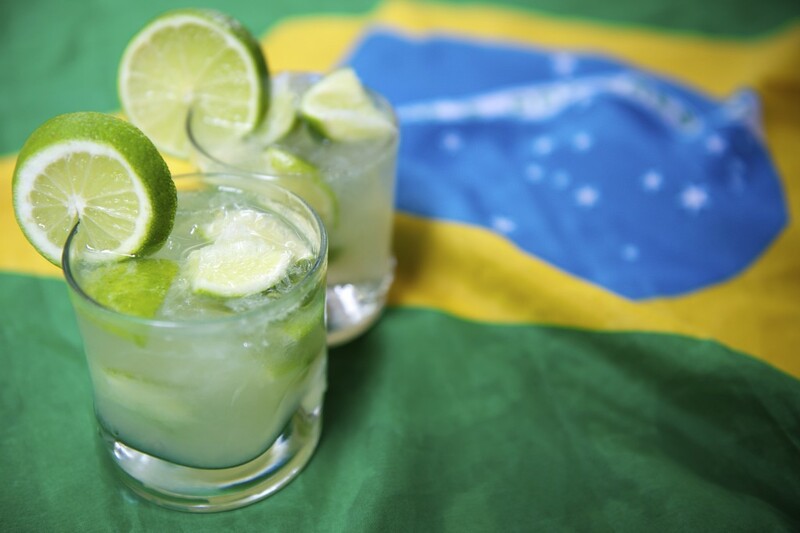 And while the Caipirinha is better known outside Brazil, due to its potent alcohol content (basically all of it) it’s not a drink that can be consumed at the workplace all day (not by responsible workers anyway). So Guaraná Antarctica has become overshadowed by its more internationally recognised and potentially inebriating cousin. As the name would suggest, Guaraná Antarctica is made using the Guaraná plant. Guaraná is an Amazonian plant with very high levels of caffeine (approximately three times stronger than coffee plants). The Guaraná are very distinctive and when the plants flower the seeds open from their pods slightly to give the impression of an eye. There are a number of tribal legends which actually identify the seeds of having come from the eyes of prominent tribal ancestors. Guaraná Antarctica. Photo Credit: Proxxima. Like most fizzy drinks, Guaraná Antarctica mostly consists of sugar and carbonated water but there certainly is Guaraná extract and caffeine in the drink. The soft drink has spawned a wide range of variants which include zero sugar versions, an açaí version and even a “champagne” version. Because the brand is so big in Brazil, some of its TV commercials have become major talking points and even quite controversial. Argentinean Football star, Diego Maradona, featured in one of the more contentious advertisements where Maradona was featured wearing the yellow Brazilian football jersey and singing the Brazilian National Anthem before being seen to wake up in a cold sweat to pronounce that it was all nightmare. If you know much about the national rivalry between Brazil and Argentina and Maradona’s god like status within Argentina, it’s almost inconceivable Guaraná Antarctica would manage to convince Maradona to be involved in such an advert.